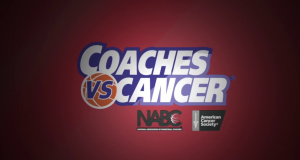 If you are in the Philly area – Coaches vs. Cancer is a great event to help raise money for cancer research. Over the six years the event has existed, the kids at Central Bucks East have raised over a quarter million dollars. This year’s goal is $75,000 dollars. February 8th – all day. Come out and donate for cancer research. Central Bucks East High School, Buckingham, PA; Saturday February 8th, 2014 from 7:30AM to 5:00PM. There’s a ton of great events – and I don’t even really like basketball. 02/08/2014 Update: We hit our $75,000 goal and maybe more (the finally tally is not in). A fantastic result for a one day event! All credit goes to the your people at Central Bucks East for a great job!